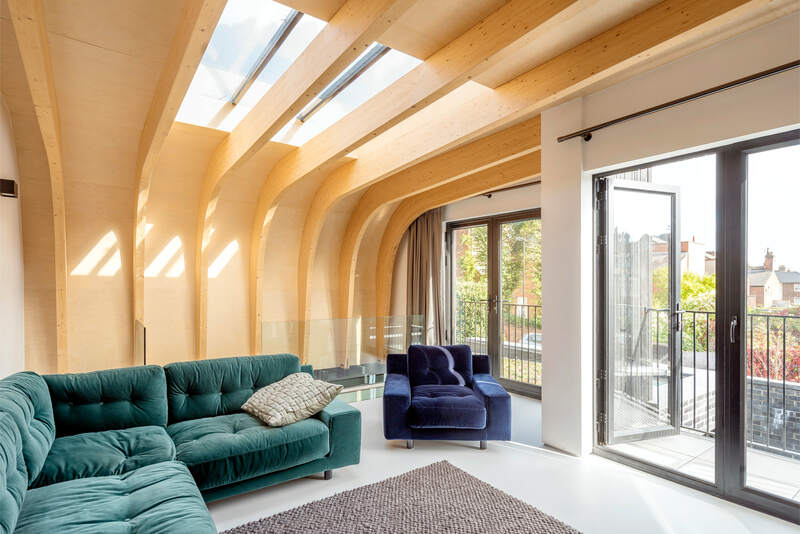 Crouch End, London Complete 140 sq.m. 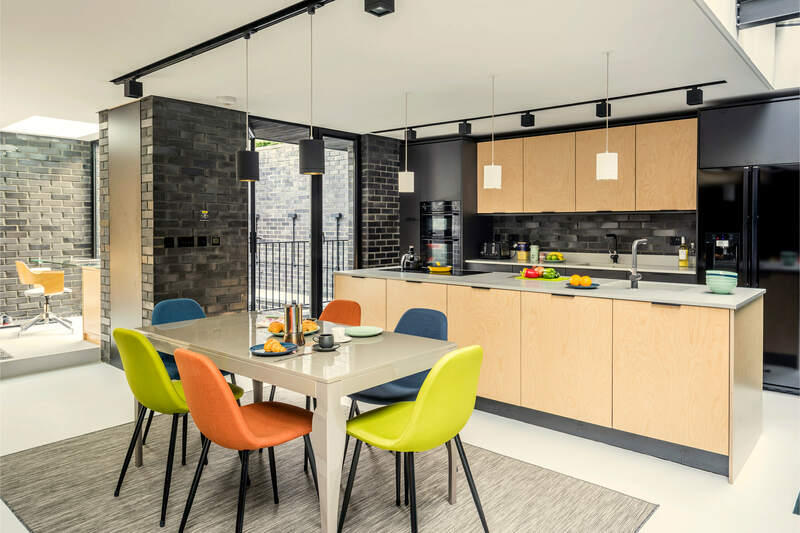 Self-build can provide a fantastic opportunity for people to create a bespoke house for themselves. 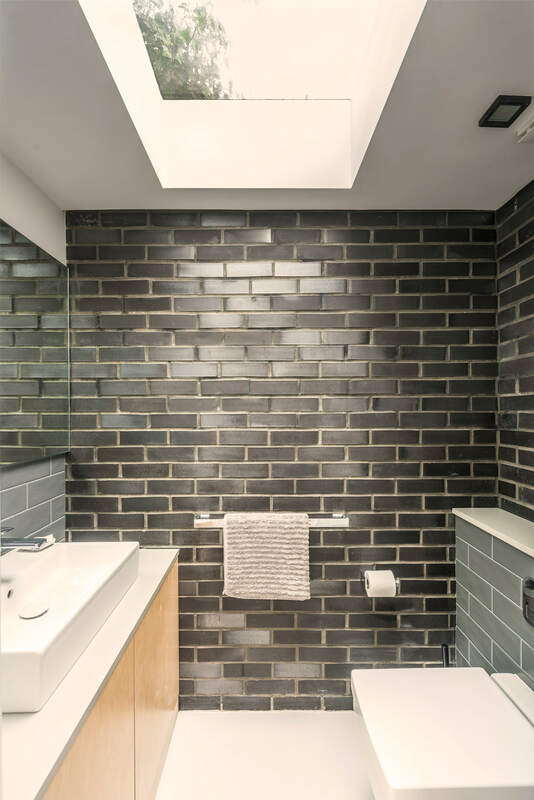 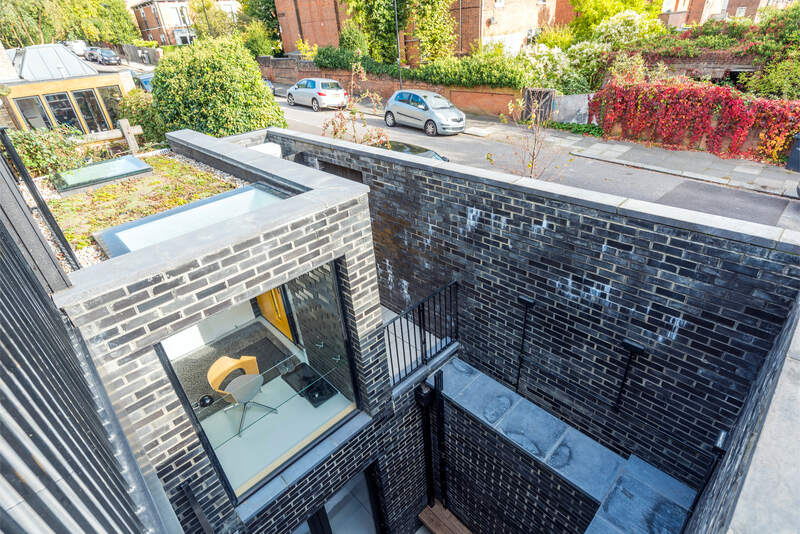 Our client took the risk to purchase land at auction to realise this dream, and the result is a high-quality contemporary house within a vibrant area in North London. 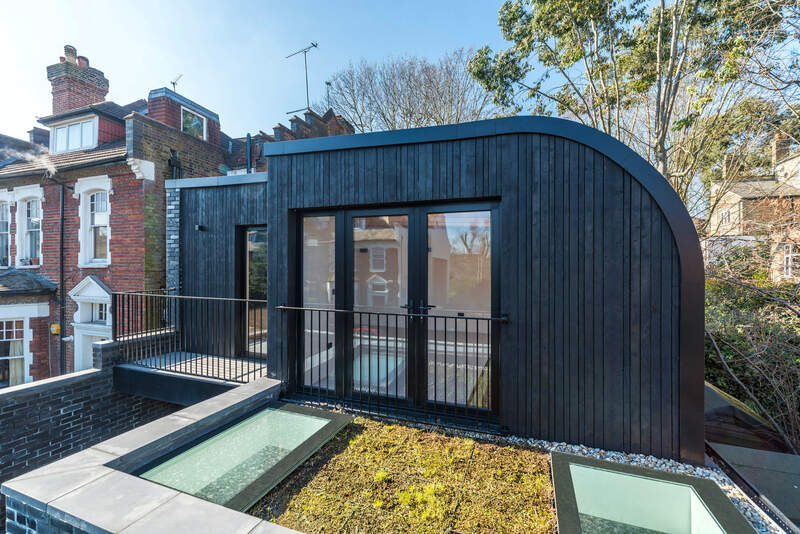 With an 80 sq.m. 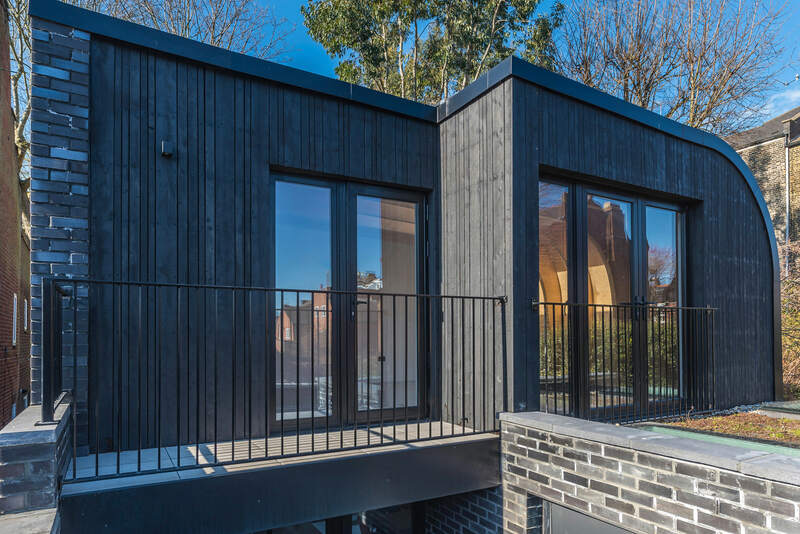 double garage plot, the client approached Crawford Partnership, due to our expertise in transforming backland and infill sites into high-quality and spacious contemporary homes. 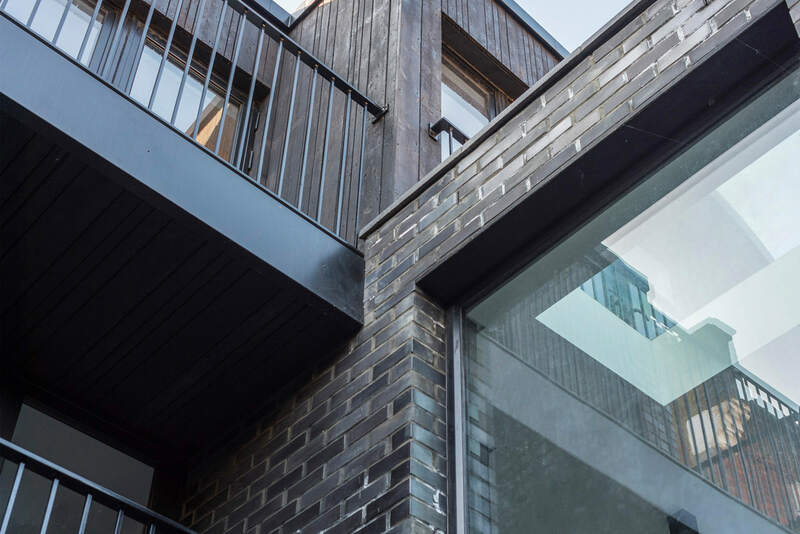 With these very constrained sites, there are numerous additional challenges, from party wall controversy to limited site storage, all on a tight budget. 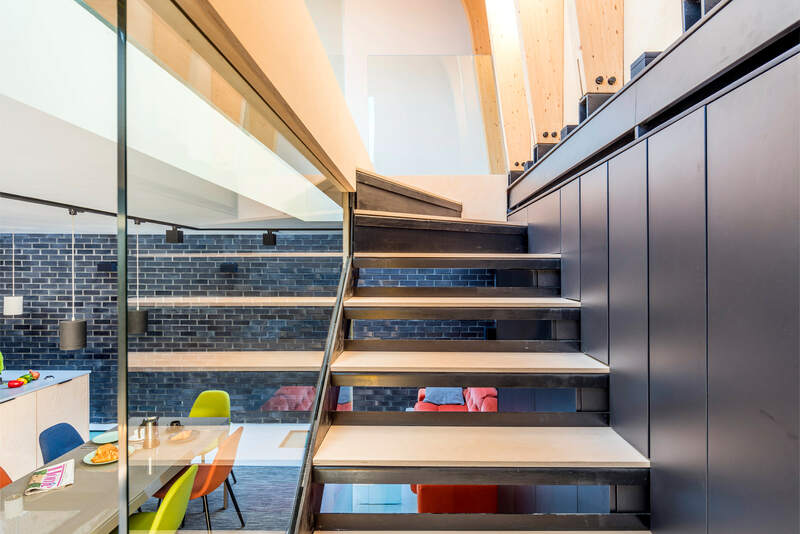 We use these constraints to inspire our architectural response. 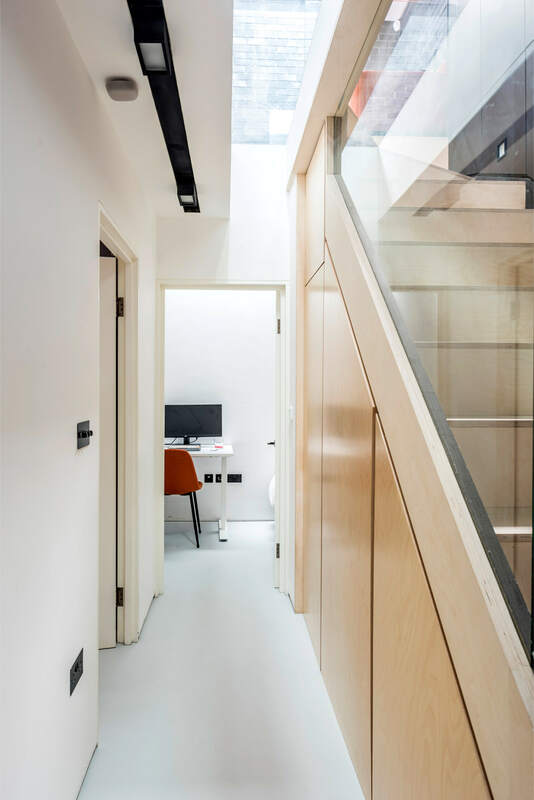 Set over three floors, the house has created a 3-bedroom family home which exceeds the client's brief. 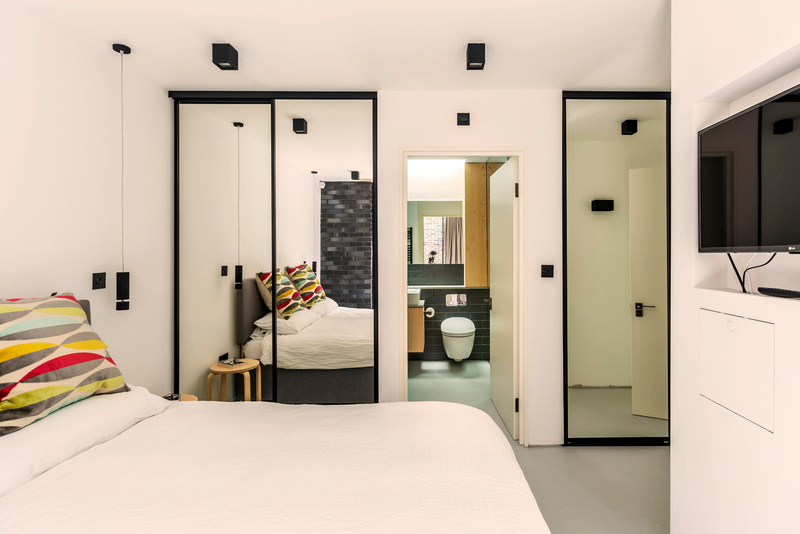 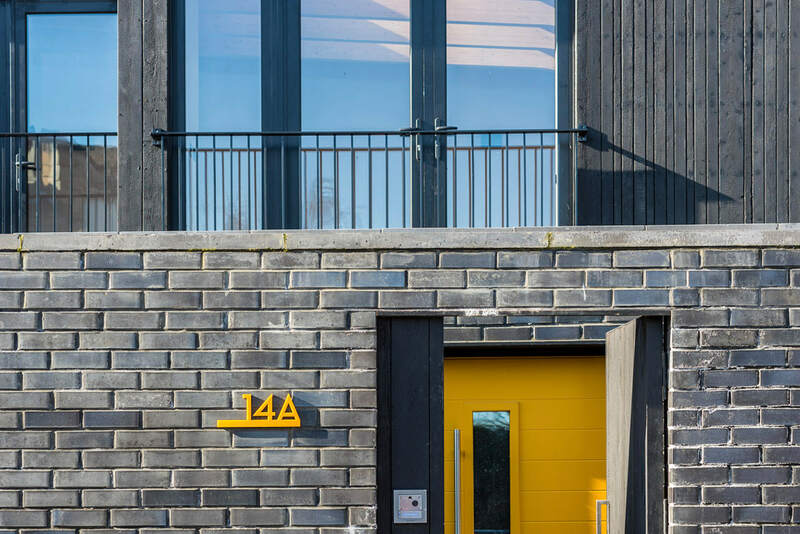 The building fills the footprint of the compact site and is a realisation of a complex design process to create flexible and beautiful living spaces within the constraints. 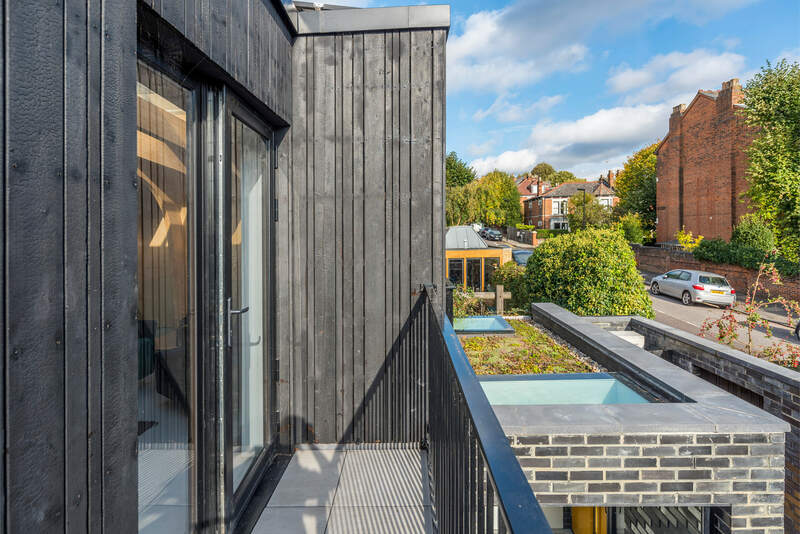 Externally the bold black brick and charred larch cladding contrast with the context of the conservation area, standing confidently on the street. 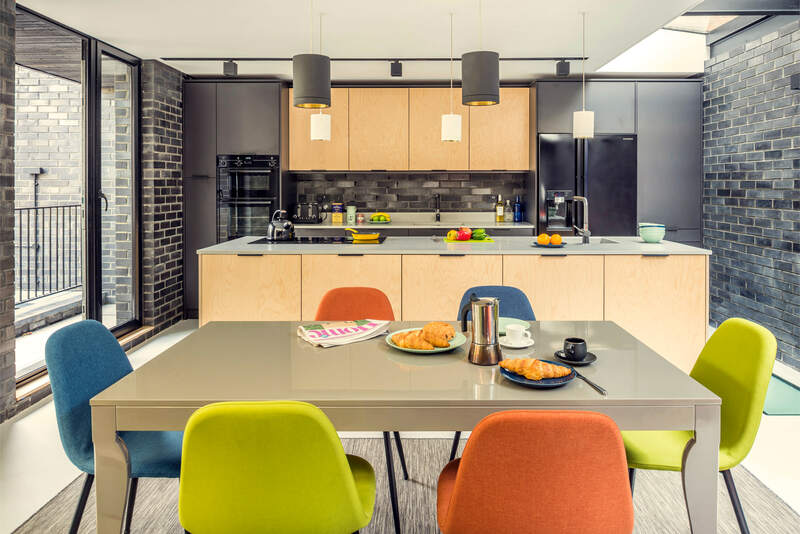 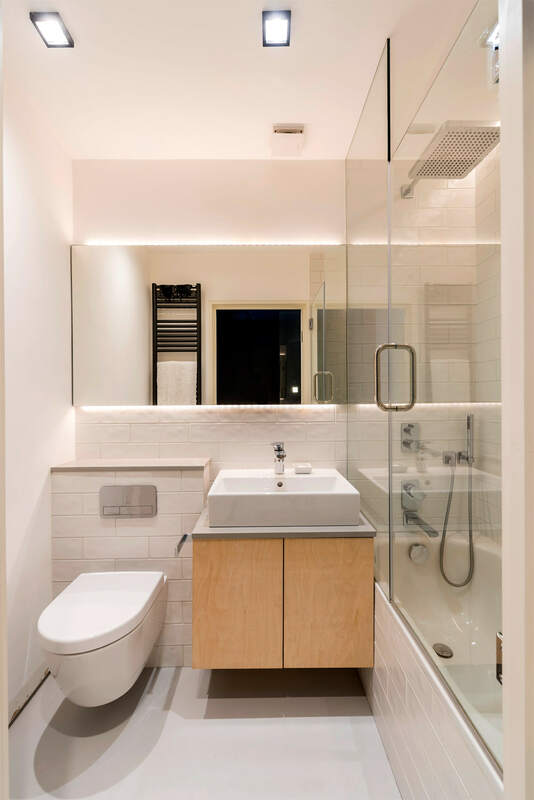 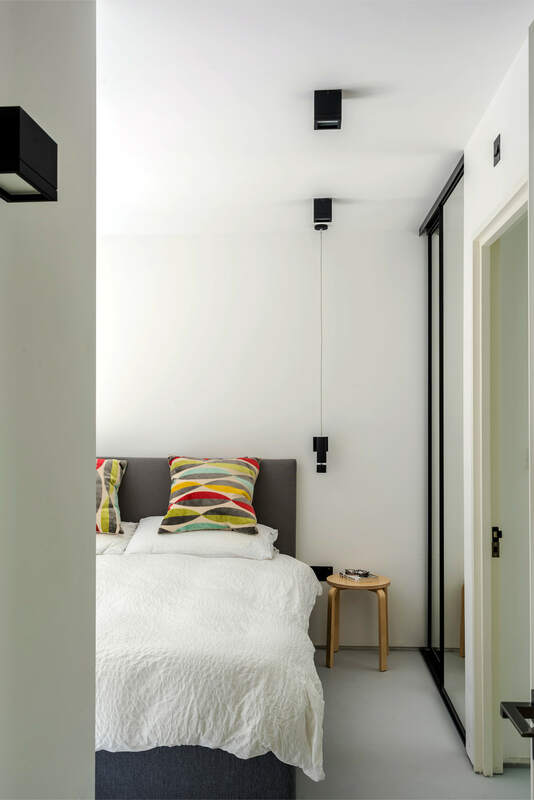 Darling House’s idiosyncratic and daring style reflects the collaborative design process with involving the client in every detail of the house, from the design and materials externally down to bespoke designed kitchen and bathrooms and lighting which highlights these important features. 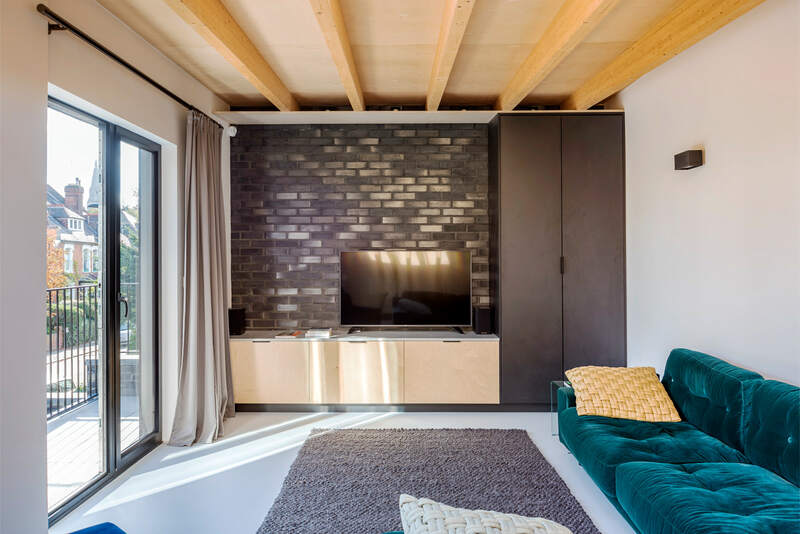 This collaborative process has created a striking architectural language which runs throughout the house linking the architectural to the interior design. 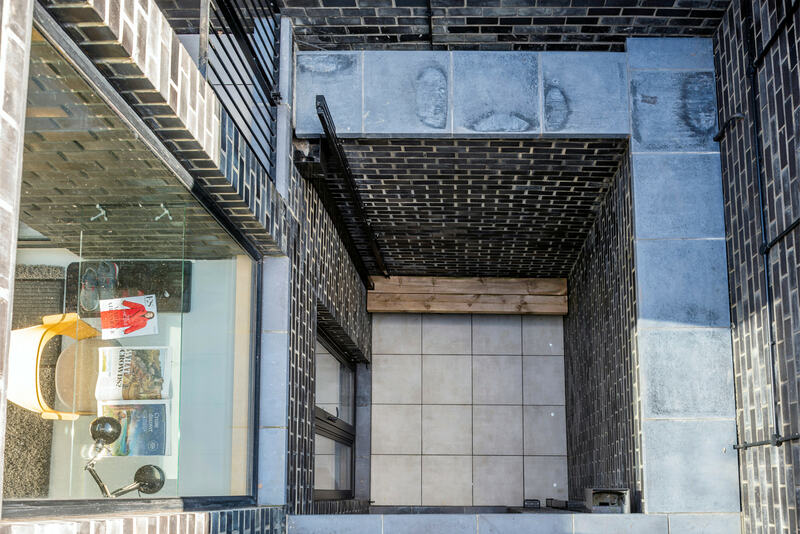 Once beyond the front boundary wall and through the small forecourt, you enter a home for urban living. 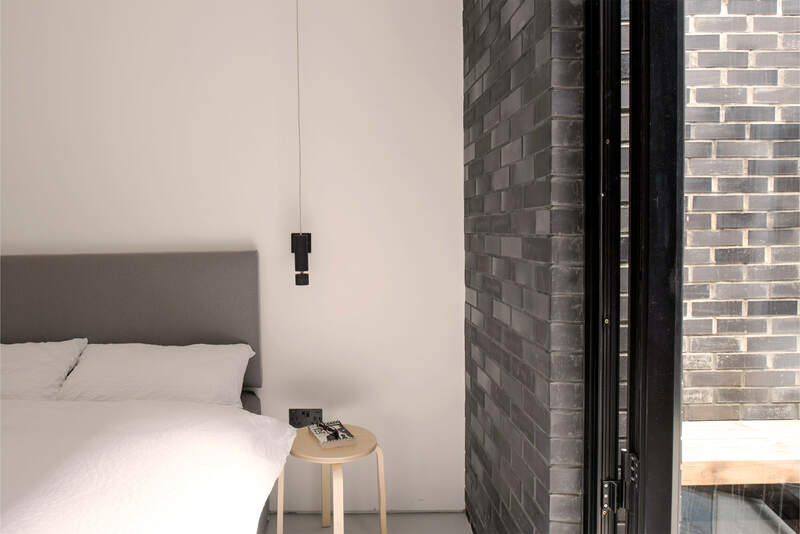 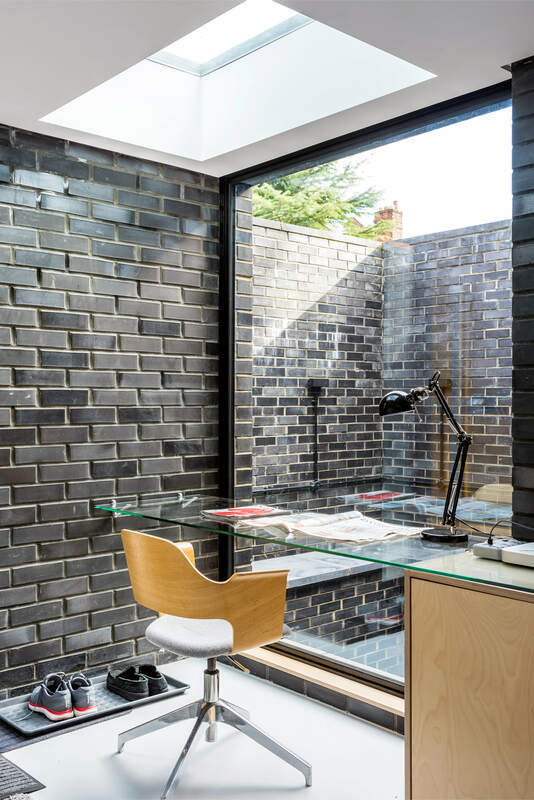 The black brick continues inside, and a muted material palette of soft greys and birch-faced plywood is introduced. 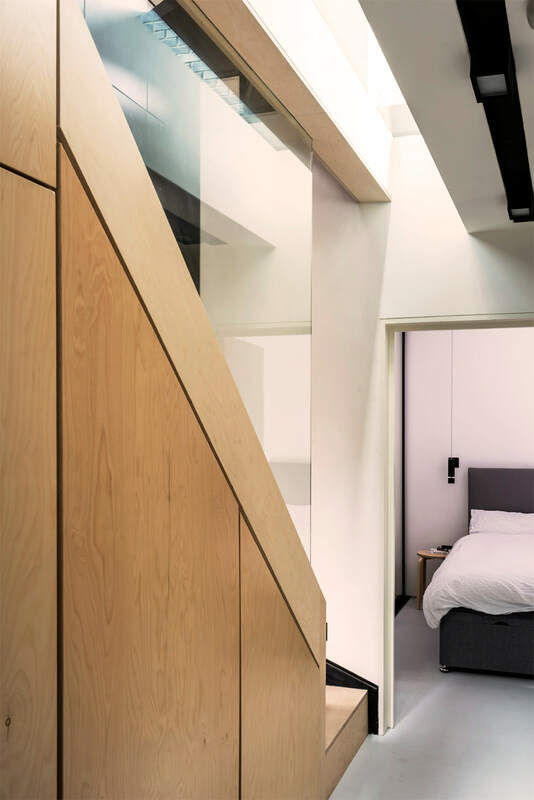 This palette of materials continues throughout the house, employed from the bathrooms through to the structural glulam beams at first floor. 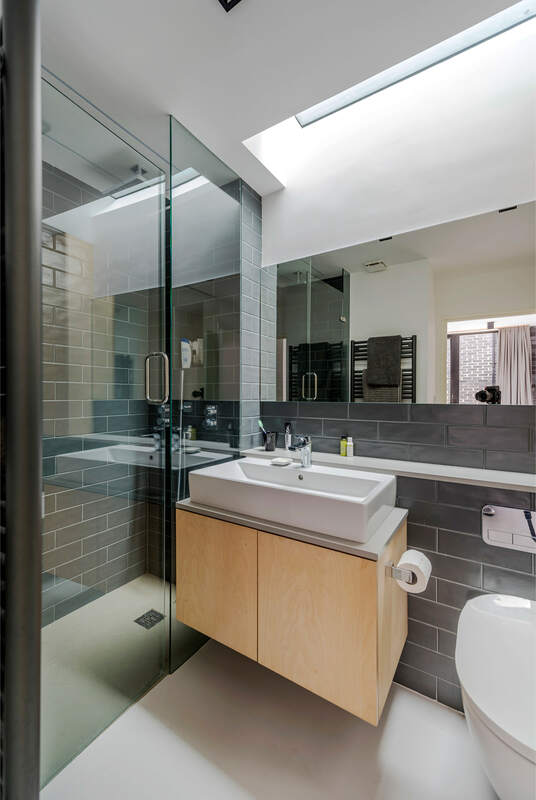 Natural daylight, pulled into the home from high level, casts shadows and reflects over materials, finishes and spaces. 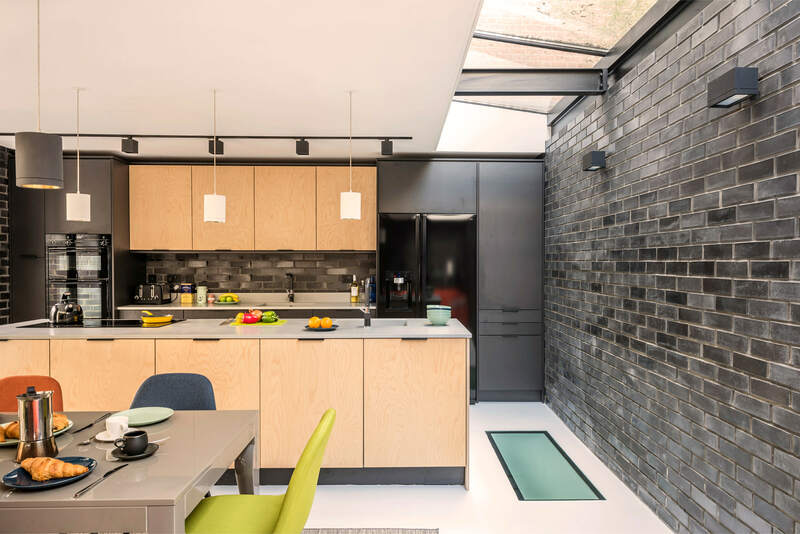 The complexities of maximising natural daylight within the dwelling inspired the initial design concept; with skylights, internal walk on glass, a basement courtyard, and floor to ceiling windows ensuring wherever you are in the home you are connected to the outside. 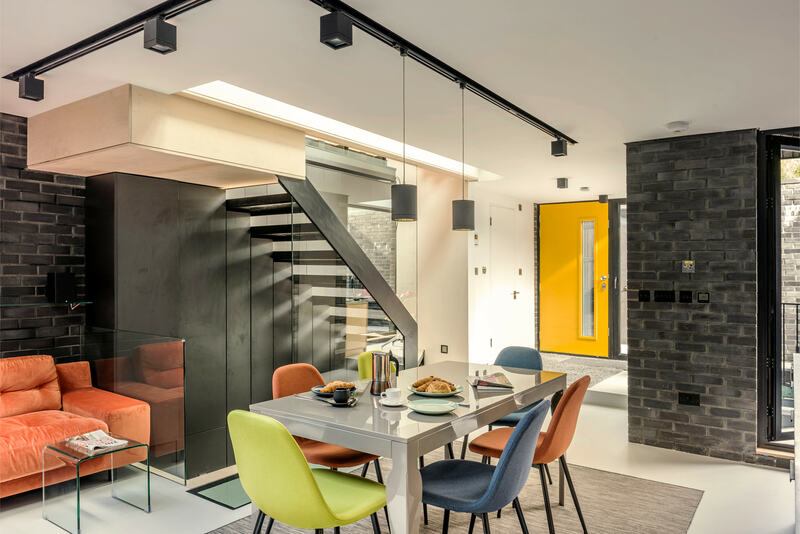 The involvement of the architects on every aspect of the design has created a strong and coherent architectural language, which prevails throughout the house.